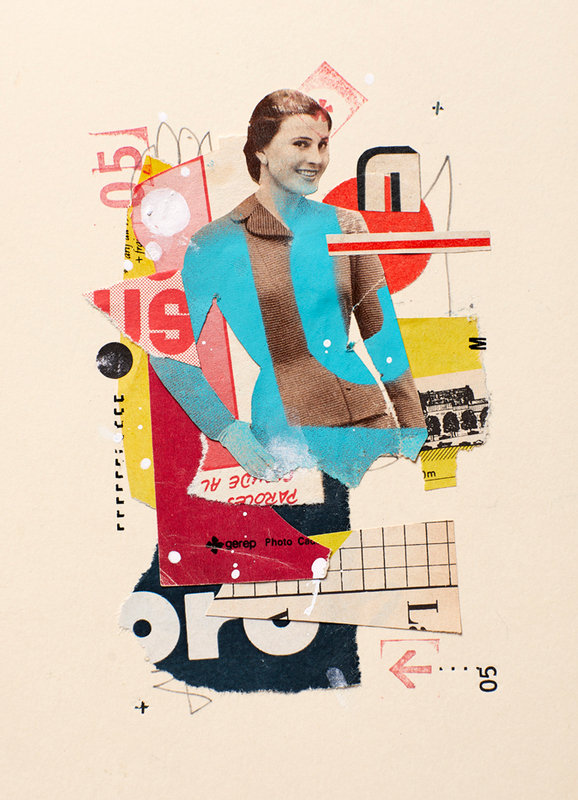 A collage by Lille, France artist Arnaud Sagnier is on the cover of Kolaj 25. He writes, “Using advertising codes, I compose, I play with shapes, colours, typos. I create, from posters, clippings, a pop and rhythmic visual for a harmonious, original and surprising graphic rendering.” A portfolio of his work appears in the magazine. Deep inspection of Sagnier’s work is a lesson in composition, restraint, layering, and the control of chaos. Arnaud Sagnier is a collagist, photographer and freelance graphic designer who lives and works near Lille, France. Learn more at www.graphikstreet.com and on Instagram and Facebook @graphikstreet.